Fútbol that will keep you at the edge of your seat, lively street art and travel accessibility in Argentina are more than enough reasons to choose Buenos Aires as your study abroad location. Many inhabitants of Latin America are of the Catholic faith. What many might not know is that many Latin Americans also have a second religion: soccer. 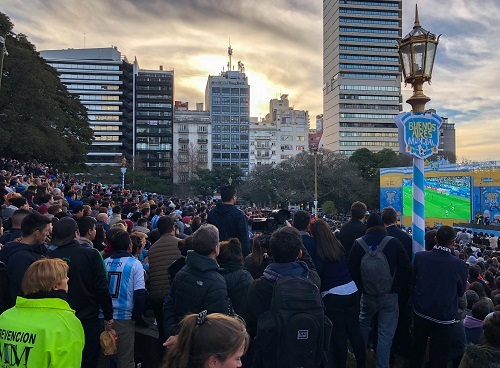 As soon as we landed and set foot in Buenos Aires for the first time, we ended up at a watch party in the park. This was nothing like the sports I’d seen back home. Everyone wore jerseys and were with their friends or family at the park. As soon as Argentina scored the winning goal with just a few seconds left in the game, the crowd went wild. Everyone was jumping, dancing, hugging, and kissing. Soccer brought everyone together. It didn’t matter where you were from or what you looked like. 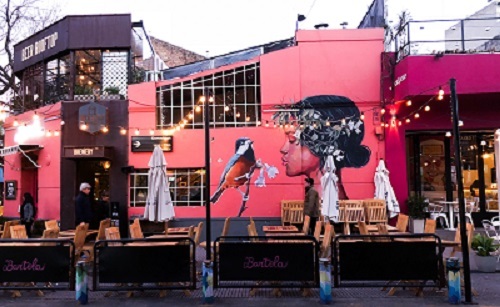 Buenos Aires is also home to some of the world’s most beautiful street art. It seems as if around every corner was something new to look at on the walls. Palermo was my favorite town in Buenos Aires. The street art was hip, refreshing, and full of life. La Boca in Buenos Aires was the perfect place to see how colorful the city and people of Buenos Aires are. Every inch of the town was blanketed in bright colors dancing off the walls and buildings. There's nowhere in the world like it. You scream, I scream, we all scream for ICE CREAM! Porteños must be adding some magical ingredient to their ice cream, because I have never tasted anything like it. Ice cream and gelato shops are common on any street corner, filled with the richest flavors. I wish could’ve packed a whole suitcase of Rapanui ice cream to take home with me! Argentina is the perfect Latin American country for even more travel. 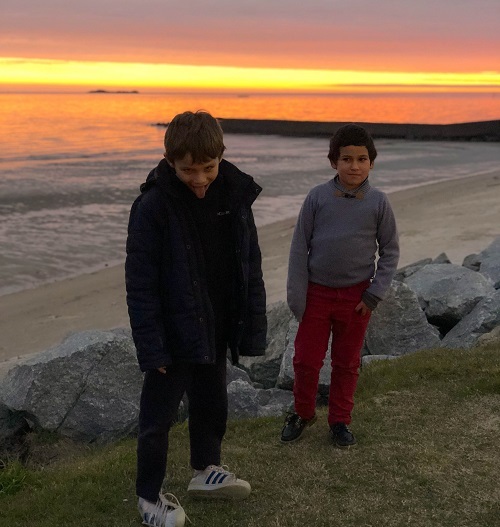 Seemingly stuck in a time-warp of bygone days, Colonia del Sacramento is just an hour-and-a-half ferry ride away from Buenos Aires. The sunsets here are breathtaking, and the people warm and welcoming. 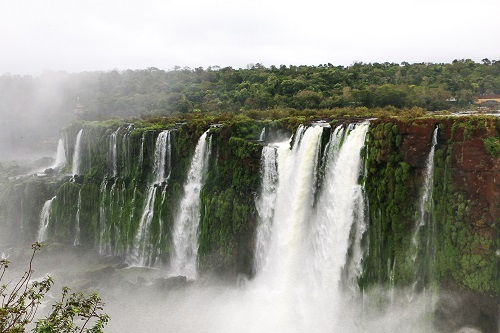 If you travel up north, you'll even see one of the wonders of the world: Iguazú Falls. No pictures can do the falls justice, but these falls are the largest in the world and have multiple parts that stretch into Brazil as well. 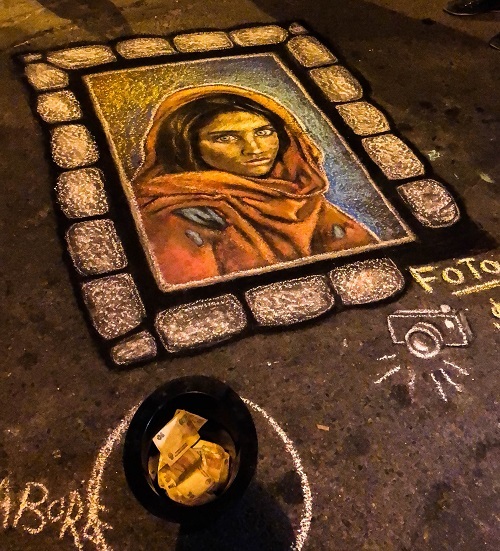 The people, the art, and the food (which I would need a whole other blog post for) are just a handful of reasons why you will not regret studying in one of the best cities in the world. Zainab Bhojani is a CEA Ambassador from the University of Illinois at Chicago who studied in Buenos Aires, Argentina, during Summer 2018. Zainab Bhojani is the Summer 2018 Alumni Ambassador in Buenos Aires, Argentina, and is currently studying at University of Illinois at Chicago. Spring 2012 - French Presidential Election Campaign in Full Swing!